GKN Sinter Metals, the global market leader for high precision powder metal components, continues its growth strategy with the announcement of investing in a new facility in Mexico. Situated in Guanajuato, the plant will have almost 6,000 sqm of roofed area and employ up to 250 people over the next years. „We are proud to welcome GKN Sinter Metals in the state of Guanajuato, a company with high technology products and a company with a large global footprint. Our state welcomes GKN with open arms,“ said Mauricio Usabiaga Diaz Barriga, Guanajuato Secretary of Economy Development. Supporting GKN Sinter Metals‘ leading position in Automotive and Industrial Markets and its strategic focus to expand products in electrical systems, the site will be perfectly positioned to support local Mexico customers who require powder metal product solutions in X-by-Wire systems, e-pump technology, connected home technologies, etc. During a ground-breaking ceremony with representatives from the local government and business partners on February 19, GKN Powder Metallurgy CEO Peter Oberparleiter re-confirmed the company’s commitment to its operations in Mexico. „It is part of our strategy to have operations in our key markets and in close proximity to our customers. Reflecting the strong development of the Mexican automotive and industrial sector over the recent years this investment was a natural step,“ Oberparleiter said. Augsburg/San Salvador, December 07, 2017 – meteocontrol GmbH has just laid the groundwork for further growth. The world’s leading provider of independent PV monitoring systems has signed an agreement to set up a joint venture in El Salvador. Together with the partner company ECOBLITZ S.A. de C.V., meteocontrol plans to expand its presence in Central America and Mexico and to intensify the customer support it provides there. The new company will operate under the name of meteocontrol Central America S.A. de C.V. and be based in San Salvador. „By establishing another joint venture, we are systematically continuing to apply our expansion strategy in Latin America,“ said Martin Schneider, the Managing Director of meteocontrol. „The partnership with ECOBLITZ will give us a local presence in Mexico and Central America. We will be able to increase our market position and accelerate our growth as a result.“ The photovoltaic market has great potential that will fuel this growth. In the wake of rising demand for electricity and widely fluctuating power rates, governments in these countries have begun to support the controlled expansion of renewable energies. Projections show that PV growth in Mexico alone will reach about 17 gigawatts within the next five years. meteocontrol has now responded to this promising market outlook: „An employee of the new company will handle sales for the country of Mexico from an office in Mexico City,“ Schneider said. The joint venture established by meteocontrol and the PV project developer ECOBLITZ combines the experience and resources of both companies. It will also market the independent monitoring solutions offered by meteocontrol. „The most critical and important aspect for us is that we are established locally and are now offering technical support,“ said Alexander Wolf, the Managing Director of meteocontrol Central America S.A. de C.V. „With our geographic and organizational set up, we are creating the base to assist customers in the entire region from Mexico to Panama including the Caribbean and meet their needs for more and more sophisticated monitoring and O&M solutions.“ In his role at the new company, Wolf will contribute the professional and international experience that he has gained while working for many years in business development at Siemens, serving as a board member of the German-Salvadoran Chamber of Industry and Commerce and by founding ECOBLITZ. Three heavy earthquakes with many victims shook the Mexican region of Puebla in September. During the earthquakes many buildings are damaged or destroyed, including schools, homes and factories. Huf Group has also a production facility in Puebla and supports the people and employees of the affected area. As part of the inauguration of a new production facility at Huf Mexico, a donation ceremony was held for the benefit of the earthquake victims in Mexico. Ulrich Hülsbeck, President and CEO of the Huf Group, presented a donation check in the amount of 50,000 euros to Claudia Nuoez, Academic Vice President of Anáhuac University. The donation will support a social project of the University, which takes care of the reconstruction of residential buildings in Puebla. The project helps about 150 families in different parts of the country in rebuilding their homes. The donation Huf Group underlines its basic values and assumes social responsibility for people and employees. The company is actively involved in promoting and supporting the regions and communities at the locations of the company. Around 100 new houses will be build by June 2018, thanks to the cooperation of Anáhuac University and the Huf Group. The social program „ASUA Construye“ makes this possible and advocates the construction of houses build by ecological materials. The social project mainly involves students from the university. Founded in 1908 in Velbert, Huf Hülsbeck & Fürst first supplied car keys in 1920 to Mercedes-Benz (now Daimler AG). Today Huf employs around 7200 employees at locations in 14 countries around the world. Over 400 developers and design engineers work in its offices in Germany, the USA, Korea, Romania, India and China. The company counts all renowned car manufacturers among its customers. As a developer and producer of mechanical and electronic locking systems, driver authentication systems, passive entry systems, vehicle access systems, door handle systems and systems for boot lids and rear doors, tyre pressure monitoring systems and telematics systems, Huf has made a name for itself across the world amongst car manufacturers and in the tyre industry. Huf Mexico was founded in 2008 and is located in San Francisco Ocotlan, Coronango, Puebla. With a workforce of 550 employees, Huf Mexico develops and manufactures complete solutions for Car Access Security and Immobilization (CASIM). Huf develops and produces tire pressure monitoring systems (TPMS) for renowned automobile manufacturers all over the world: Audi, Aston Martin, BMW, Bentley, Bugatti, Ferrari, Lamborghini, Maserati, Mercedes Truck, Mini, Novabus, Porsche, Prevost, SsangYong, Volkswagen, and Volvo Truck, just to name a few. In addition to offering original replacement sensors for the replacement parts market, Huf also offers the IntelliSens universal sensor, which has the best vehicle coverage in the market and can be installed faster than any other sensor due to its unique concept. Numerous valves, accessories, and tools from ATEQ and Bartec round off our product range. With the new IntelliSens app, tire pressure monitoring systems (TPMS) can now be diagnosed and configured even faster and easier. Die mexikanische Kultur ist eine der vielseitigsten der Welt, denn sie reflektiert die bewegte Vergangenheit des Landes. Die Verbindung von indigenen Elementen mit Einflüssen der spanischen Kolonialzeit und des Nachbarstaats USA sind ganz deutlich zu spüren und machen die Faszination des Landes aus. Der neue Schirm „Mexico“ aus der Frühjahr/Sommer Kollektion 2017 von Schirmhersteller Knirps spiegelt diese besondere Lebensweise wider und nimmt uns mit auf eine faszinierende Reise durch diese fremde Kultur. Schwarz-weiße Blumen und Blattelemente erinnern an die Malereien der Totenmasken am „Día de Muertos“ und üben unheimliche Anziehungskraft auf uns aus. Kombiniert mit den gedeckten Farbgebungen und dem rautenförmigen Ikat-Muster entsteht ein ethnisch anmutender Schirm, der uns von dieser fernen Kultur und ihren uns fremden Sitten träumen lässt. Mit „Mexico“ werden Sie zur Frida Kahlo der heutigen Zeit! Tags Bunt, Geschenk, Idee, Knirps, Mexico, Regen, Regenschirm, Regenwetter, Schirm, Taschenschirm | Permalink | Kommentare deaktiviert für Viva la Mexico! Dynamic economic development and great growth potential in Mexico – these are convincing arguments for a new SKIDATA location. SKIDATA is building on its engagement in Mexico with the opening of a new branch. The Salzburg leader in innovative access solutions has been active in Mexico for quite some time and has already achieved great success with its parking space management solutions for Fundidora Park, the first public city park in northern Mexico, as well as TecnoParque in Mexico City. As general manager, Ryan Rhoades is responsible for Mexico. Before joining SKIDATA, initially as external consultant in 2014, Ryan worked in the Chemicals Industry for over 18 years in Germany. From the very beginning, a hands-on approach was a must for him and his team in Mexico. The team has worked with full enthusiasm to securing new facilities, implementing SKIDATA processes for customer service and engagement, hiring of employees, and offering new customers premium solutions. Ryan is excited about his Mexican colleagues: „In the 25 years I“ve been making my way across the globe, I have rarely encountered people who are as authentic and hardworking as Mexicans.“ SKIDATA Mexico is committed to the principle that the team as a whole is responsible for success much more than any one individual. The strong team spirit is not only demonstrated by the close cooperation across all departments to ensure a perfect project closure. This also becomes evident in many social activities like celebrating feasts together. Another quality of the operations in Mexico is the personal relationships between business partners. Trust is the basis of each business relationship. A personal promise counts more than an anonymous contract, after all. A positive demeanor among employees is especially important for Ryan. Trainings and professional development courses ensure that employees“ technical expertise grows. However, each applicant should themselves bring a solution-oriented approach to the table. Not only in Mexico are engagement and fun in the development of innovative solutions valued; these qualities are a firm part of the company culture and are fostered in each of its branches worldwide. SKIDATA is an international leader in the field of access solutions and their management. More than 10,000 SKIDATA installations worldwide in ski resorts, shopping centers, major airports, municipalities, sports stadiums, trade shows, and amusement parks provide secure and reliable access and entry control for people and vehicles. SKIDATA places great value in providing solutions that are intuitive, easy to use, and secure. The integrated concepts of SKIDATA solutions help clients optimize performance and maximize profits. SKIDATA Group ( www.skidata.com) belongs to the publicly traded Swiss Kudelski Group ( www.nagra.com), a leading provider of digital security solutions. Lotte/Puebla, Feb. 2016 – With 125 million inhabitants, Mexico has built an attractive market with a high potential for growth. The North American country constitutes a major production market within NAFTA and is the second largest supplier of products to the USA. With production sites of ten OEMs and numerous tier-1 suppliers, the automotive industry also holds a strong position in Mexico. In order to more optimally meet the needs of its customers, FRIMO is opening a new production site in Puebla, which lies at the heart of Mexico. Customer service and reliability have always been crucial to FRIMO. Focus has always been placed on adapting to the changing needs of customers in order to offer optimal solutions. In addition to strong project collaboration, the company also concentrates on project support after initial start-up on customer premises. Global service with short response times is necessary for just-in-time delivery. To meet growing demands, FRIMO has now opened a production site in Mexico to add to its European locations, and locations in the Detroit area (USA) and in Shanghai (China). Until now, FRIMO Inc. in Wixom, Michigan, USA, has covered all service activities for the Mexican market. After the foundation was laid in September 2015, a new building featuring a 2,000 m² production hall and 700 m² of office space was completed in record time. The location has already begun operating and will grow to a total of 35 employees over the course of this year, who will produce, refurbish, and maintain tools and systems for the automotive industry. Furthermore, experienced technicians provide emergency services with even quicker response times. FRIMO places a great emphasis on hiring qualified experts and providing first-class in-house training right from the beginning. The new FRIMO site is located in Puebla, in the heart of Mexico, where a VW plant established in 1964 represents one of the centers for automotive production. This is also one of the reasons for the excellent level of education of the citizens in this region. Puebla is the capital of the Central Mexican State of Puebla with a population of about 1.5 million. Furthermore, Puebla is within close range of a majority of the automobile production centers, making it an optimal location for FRIMO. The new production site will be established under the direction of FRIMO Inc. (Wixom, MI, USA), and is primarily intended to concentrate on local service and expanding the production capacities of the Wixom location. The entire range of FRIMO technologies will be available: tools, systems, and complete production solutions for PU processing, flexible trimming, punching, pressing, forming, thermoforming, lamination, edge folding, and joining. Local management will include general manager Sascha Gehrmann and production manager Wolfgang Kleingünther. Additional production and sales locations belong to the FRIMO Group, with over 1,300 employees in Europe, Asia, and the Americas as well as numerous international representatives. The FRIMO Group was again distinguished for excellent service. FRIMO has received the SPE Awards, known as the \\\\\\\“Oscars of the Plastic Industry\\\\\\\“, 22 times already. In 2014, FRIMO was distinguished with the JEC Innovation Award in Atlanta for the cooperation project \\\\\\\“Street Shark\\\\\\\“ (www.street-shark.com). The work of the FRIMO Group for the plastics processing industries includes a broad range of technologies from polyurethane processing, flexible trimming, punching, pressing and forming, thermoforming, laminating, and edgefolding, as well as joining and gluing. System solutions for large-series capable processing of fiber-reinforced plastics (composite technology) are also part of the business. For this purpose, FRIMO offers its customers tailored tools, machines, and production systems as individual or complete solutions from a single source. Hamburg, 12. März 2015 – Clavister (Nasdaq: CLAV) vermeldet auch in Übersee wichtige Erfolge: So hat der Netzwerksicherheitsexperte mehrere mexikanische Universitäten mit sicheren WLAN-Netzwerken ausgestattet, inklusive zahlreicher Managementfunktionen. Die Implementierung fand in Zusammenarbeit mit Ericsson Mexico und Telmex, einem Serviceunternehmen des größten mexikanischen Telekommunikations-anbieters America Movil, statt. Clavister hat für die mexikanischen Universitäten einen speziellen Mix aus seinen Next-Generation Firewalls X8 und W3 zusammengestellt, auf denen jeweils das Clavister-eigene Betriebssystems cOS läuft. Dadurch schafft der Security-Experte ein zuverlässiges WLAN-Netzwerk mit optimierter Abdeckung und Unterstützung von Traffic-Management und -Tracking. Die Clavister-Lösung verwaltet dabei mehrere Access Points und stellt eine hohe Anzahl gleichzeitiger Nutzerzugriffe sicher. Dazu erhalten die Universitäten Security-Funktionen für die gesamte WLAN-Umgebung sowie weitere Features für Web-Filtering, Tracking-Richtlinien und Bandbreiten-Management. 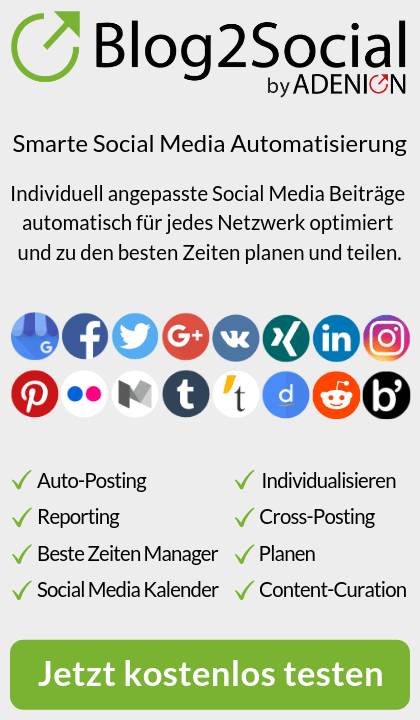 Darüber hinaus können sie mit Clavister die allgemeine Netzwerknutzung überwachen, z.B. Webseitenzugriffe, generierten Traffic und Bandbreitenverbrauch (bezogen auf einzelne Anwendungen). Dadurch sind die Universitäten in der Lage, Bandbreite zu priorisieren bzw. an bestimmten Stellen zu limitieren: Mitarbeiter verschiedener Abteilungen erhalten unterschiedliche Berechtigungen. Im Rahmen der Evaluation, bei der mehrere Netzwerksicherheitslösungen getestet wurden, setzte sich die Clavister-Lösung vor allem aufgrund ihrer Skalierbarkeit und der umfangreichen Traffic-Management-Funktionen durch. Zudem bot die Lösung im Test konstante Uptimes – auch zu Stoßzeiten, ermöglicht durch einen integrierten DHCP-Server. Im Gegensatz zu anderen Lösungen konnten sich mit Clavister Tausende Nutzer gleichzeitig im Netzwerk einloggen. Die Lösung war in der Lage, jeden Nutzer im Netzwerk zu identifizieren und seine Aktivitäten stets zu verfolgen. Die gesamte Clavister-Implementierung beinhaltet die Firewall, VPN, Applikationskontrolle, Richtlinien- und Bandbreiten-Management, DHCP (Dynamic Host Configuration Protocol), Web-Filtering und Prävention anwendungsbasierender Schwachstellen. Im Jahr 2015 hat Clavister bereits eine Reihe von WLAN-Netzwerken abgesichert. Bei der „Smart Cities“-Initiative in Brasilien richtete Clavister z.B. an 1.600 Standorten im Land sichere Drahtlosnetzwerke ein. Zudem stattete der schwedische Security-Spezialist die Swedish Hockey League mit einer sicheren WLAN-Plattform für Stadion-Services aus. Im Rahmen der umfassenden Themenpalette des Business Gipfels (B20), die von „grünem nachhaltigem Wachstum“ über „nachhaltige Beschäftigung“ bis hin zu „Anti-Korruption“ geht, wird sich der Bundesverband für Wirtschaftsförderung und Außenwirtschaft (BWA), vertreten durch Sprecher des Präsidiums Herrn Rudolf Weiler, in den beiden Themenfeldern „ICT und Innovation“ und „Handel und Investitionen“ einbringen. In den einzelnen Arbeitskreisen werden Themenpapiere zur Weiterleitung an den G20 erarbeitet. Im Jahre 2010 wurde neben dem G20 Gipfel der B20 Gipfel ins Leben gerufen. Bei dieser Zusammenkunft von Vertretern der Wirtschaft werden jeweils wirtschaftliche Leitlinien für den darauf folgenden „G20 Gipfel der Regierungschefs“ vorbereitet. In diesem Jahr findet diese Veranstaltung in Los Cabos Mexico vom 17.06.12 bis zum 18.06.12 statt. Auf Einladung des Wirtschaftsministers der vereinigten mexikanischen Staaten Bruno Ferrari und der Mexikanischen Botschaft in Deutschland wird der BWA an der Veranstaltung mitwirken und ist damit einer der fünf deutschen Wirtschaftsrepräsentanten. Der Gipfel steht unter dem Leitsatz: „The B 20 believes that business has an important role to play in rebuilding trust and helping to address key global issues. Today’s challenges are too large, too complex, and too interrelated to be solved by governments alone. What can governments, businesses and other stakeholders do together? “ und steht damit ganz in der globalen, ganzheitlichen und nachhaltigen Programmatik des BWA und der von diesem seit jeher geforderten ökosozialen Marktwirtschaft. Über den Bundesverband für Wirtschaftsförderung und Außenwirtschaft e. V.
Wirtschaft – das sind wir alle: Dieser Leitspruch umreißt die Aufgabe des Bundesverbandes für Wirtschaftsförderung und Außenwirtschaft e.V. (BWA), mit gemeinwohlorientierter Politikberatung als Partner der Politik aufzutreten. Mit seinem überzeugenden Einsatz für die nachhaltige Entwicklung des Wirtschaftsstandortes Deutschlands und eine weltweite ökosoziale Marktwirtschaft nimmt der BWA eine besondere Rolle unter den deutschen Verbänden ein. Führende Persönlichkeiten aus Wirtschaft, Wissenschaft, Politik und öffentlichem Leben bilden gemeinsam den Senat des BWA. Voraussetzungen für eine Berufung in den Senat des BWA sind neben besonderem Erfolg und einer Vorbildfunktion im jeweiligen Tätigkeitsbereich das Eintreten für die Ziele des BWA. Die Mitgliedschaft im Senat ist exklusiv. Sie steht nur Unternehmen von landes- und bundesweiter Bedeutung offen und ist grundsätzlich auf eine Persönlichkeit je Branche beschränkt. Besondere Kompetenz hat sich der BWA im Bereich Außenwirtschaft erworben. In Partnerschaft mit der United Nations Conference on Trade and Development (UNCTAD) ist er offizieller Träger der Trade Point Federation in Deutschland, einer weltumspannenden Projektdatenbank für Unternehmer. Ein enges Netz von Außenwirtschaftsberatern bietet Mitgliedern des BWA Kontakte und Informationen aus erster Hand in fast allen Regionen der Welt, Kooperationen mit internationalen Wirtschaftsverbänden, regelmäßige Fachveranstaltungen und Außenwirtschaftsreisen begleiten diesen Service. IT Concepts setzt seine Expansion in Mittelamerika fort und schließt Vertriebspartnerschaft mit ROVI Engineering, Mexico. IT Concepts, Deutscher Hersteller für Industrie Endoskope setzt seine Expansion in Mittelamerika fort und schließt Vertriebspartnerschaft mit ROVI Engineering, Mexico. Mit dem neuen Standort in Guadalajara können nun Kunden in ganz Mexico einfach, direkt und professionell betreut werden. ROVI Engineering Mexico ist spezialisiert auf die ganzheitlichen Beratung, sowie der Auswahl und Bereitstellung von Spezialgeräten (wie Videoendoskope, Glasfaserendoskope, und starre Endoskope) zur präventiven und korrektiven Inspektion bzw. Wartung in industriellen Anwendungsfeldern. IT Concepts freut sich auf ROVI Engineering und wünscht Ricardo Rodriguez sowie seinem Team einen guten Start. IT Concepts – Made in Germany. Unsere Endoskope (starre Endoskope, Glasfaserendoskope, Videoskope und Dokumentationslösungen) werden von erfahrenen Spezialisten besonders anwenderorientiert entwickelt. Sie entsprechen dem aktuellen Stand der Technik und erfüllen den robusten Qualitätsanspruch für industrielle Anwendungen. Durch Endoskope von IT Concepts ist es möglich mit geringem Zeit- und Kostenaufwand jegliche Art von Hohlräumen in den unterschiedlichsten Anwedungsgebieten der visuellen Sichtprüfung zu unterziehen. So können frühzeitig kritische Veränderungen des Inspektionsobjektes erkannt werden. Dies dient der Prävention von Schäden, ermöglicht die Planbarkeit notwendiger Wartungen, und reduziert effektiv Ausfallzeiten. Palma de Mallorca. – Paradisus, die All-inclusive-Luxusmarke der spanischen Kette Meliá Hotels International ist seit dem 1. Dezember an Mexikos berühmter Riviera Maya mit zwei Fünf-Sterne-Resorts vertreten, dem familienorientierten Paradisus Playa del Carmen La Esmeralda und dem auf Erwachsene ausgerichteten Paradisus Playa del Carmen La Perla. Mit einer einzigartigen Mischung aus Spitzenrestaurants, exklusiven Suiten und exakt auf die Bedürfnisse der Gäste zugeschnittenen, außergewöhnlichen Serviceangeboten sollen neue Maßstäbe für All-inclusive-Luxusresorts an der mexikanischen Karibikküste gesetzt werden. Der beeindruckende Komplex der beiden nebeneinander liegenden Luxustempel wurde harmonisch und nachhaltig in die sie umgebende, wunderschöne Natur integriert. Um die einzigartigen und sehr empfindlichen Mangrovenwälder zu schützen, sind beispielsweise Holzstege errichtet worden, auf denen die Gäste durch die malerische Natur spazieren können. Der renommierte spanische Architekt Alvaro Sans hat die ökologisch ausgerichtete Anlage im Maya-Stil als Amphitheater konzipiert, das sich zum Meer hin öffnet und einen traumhaften Blick auf den Golf von Mexiko und die gegenüber liegende Insel Cozumel bietet. Hier finden anspruchsvolle Gäste eine modern-elegant designte Oase der Ruhe in intimer Atmosphäre. Das La Perla ist das erste Paradisus-Resort nur für Erwachsene und steht für Luxus pur: Unter den 394 elegant eingerichteten Suiten befinden sich 120 Royal Service- und 60 Swim-up-Suiten, die mit ganz speziellen Annehmlichkeiten, wie etwa einem direkten Poolzugang von der eigenen Terrasse aus, Privatstrand mit Concierge-Service, personalisiertem Butler-Dienst, intimem Royal-Service-Restaurant oder Hydromassagewanne auf der Terrasse aufwarten. Ein Highlight für Unterwasser-Fans sind auch die großformatig in die Schlafzimmerwände der Juniorsuiten integrierten, beleuchteten 3D-Bilder, die wie große Aquarien wirken. Für Trauungen im paradiesischen Ambiente wurde ein romantischer Hochzeitspavillon errichtet. Ein herausragendes Angebot im Luxussegment für Familien stellt das La Esmeralda mit seinen 512 Luxussuiten dar. 56 davon verfügen über einen direkten Zugang zum Pool, 122 Suiten sind dem „Family Concierge“-Bereich zugeordnet und bieten ebenso wie die beiden Präsidentensuiten zwei oder drei Schlafzimmer. Mit diesem Service erhalten Familien über die gesamte Dauer ihres Aufenthalts exklusive Zusatzleistungen – vom eigenen Check-in-Counter und Restaurant, einem Kinder-Aufdeckservice mit Milch und Keksen über tränenfreie Badartikel, Playstations, Kinder-Strandsets bis hin zur Freizeitgestaltung und Ausflugsplanung für die ganze Familie. Die privaten Concierges kümmern sich um alle Belange der Familienmitglieder und sind per Handy oder Walkie-Talkie permanent erreichbar. Beide Resorts verfügen über fantastische, lagunenartige Pool-Landschaften und teilen sich den „El Zócalo“, mit dem in mexikanischen Städten ein zentraler Platz bezeichnet wird. In diesem Areal befindet sich etwa der 2.000 Quadratmeter große, erlesene YHI Spa samt Health Club, Beauty Center, Massageräumen, diversen Saunen, Pools und einem umfangreichen Workout-Angebot für unterschiedliche Zielgruppen. Fünf-Sterne-Service bieten 10 Bars und 13 Restaurants, die sich im El Zócalo gruppieren – vom erlesenen Weinkeller über asiatische Fusionsküche bis hin zu mexikanischer Haute Cuisine oder elegant-lässiger Beachclub-Atmosphäre im „Gabi Club“, von Adults- oder Royal Service-only bis kindgerecht. Zu den zahlreichen Freizeitangeboten zählen neben den Wassersportmöglichkeiten oder einem Besuch der spektakulären, nahe gelegenen Golfplätze etwa organisierte Fahrradtouren, Tangostunden, Weinproben, Sushi-Workshops oder ein Kurs auf dem beleuchteten Tennisplatz. Exklusive Shoppingmalls, ein großes Game-Center, Theater und Ballsaal runden das Angebot ab. Für große und kleine Events empfiehlt sich das Konferenzzentrum mit 14 flexibel gestalteten, modernst ausgestatteten Tagungsräumen und einer Gesamtfläche von rund 2.500 Quadratmetern. Paradisus Resorts sind Fünf-Sterne-Luxusanlagen mit All-inclusive Service und teilweise von ITR/UNESCO sogar als Biosphären-Hotels zertifiziert. Die Marke umfasst derzeit sieben Resorts in der Dominikanischen Republik, Kuba und Mexiko. Ein weiteres Paradisus eröffnet Mitte 2013 in Costa Rica. Eigentümer und Betreiber aller Resorts ist die mallorquinische Hotelkette Meliá Hotels International, die weltweit über 350 Hotels unter sieben Marken führt. Text/Fotos sowie weiteres Bildmaterial zu selektierten Hotels stehen zum Download bereit unter http://wp-publipress.de/content/pressezentrum/index.php?open=30 oder im umfassenden Fotoarchiv der Meliá Website (Benutzername: presse, Kennwort: presse1): http://album.solmelia.com/login.php?lang=english.